Guided walking tours may be booked during our normal office hours. Call our office at (715) 842-5750 for more information on availability and cost. Exceptions to the tour times listed above will be considered. If your group would like to request consideration for a private tour outside our normal hours, please contact us at (715) 842-5750. If you prefer a self-guided tour, walking tour brochures are available at the Woodson History Center or by clicking the link below. 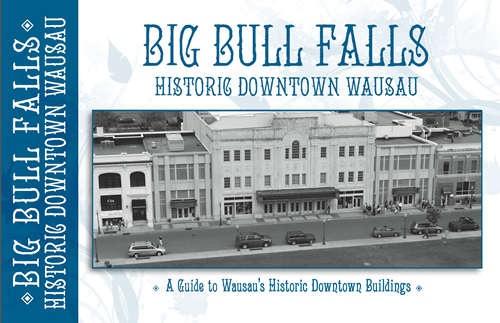 Take a walking tour of one of Wausau's oldest and most prominent neighborhoods. On the tour you will learn about the architectural styles of over 20 properties and the prominent citizens who built these magnificant homes. 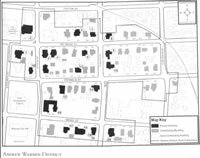 Through the years, the landscape of the downtown Wausau has changed. The population grew - the city expanded - change was inevitable. The biggest development was the building of the Wausau Center Mall in the early 1980s. A lot of the city went under the wrecking ball. Gone are the merchants, taverns, bowling alleys, restaurants, and auto dealers - replaced with an eight square block shopping center. While many buildings are now gone, many more historic buildings remain and continue to give Wausau a sense of character and place in Central Wisconsin.